There are four of us for supper tonight and the weather is icy and blowing, so good comfort food is in order. Shopping is usually slipped into other jobs and journeys: a dash into the green grocer’s whilst on my way to a meeting; a trip to the fishmonger on my way home. But today’s shopping is thought out, with a list, a big bag and a planned shopping experience for my guests. One of the advantages of the free range birds from the butcher is that their bones are heavy and strong; to be expected as they have had a lot of opportunity to exercise; so one of these birds it is. Their fat, sauce-enriching bones make a delicious stew. Cooked slowly, with stock, herbs and aromatics, the result is mild but meaty, which is just what one wants when the cold and wind is enough to make your eyes water. As I am well stocked with limes, I had planned on making a lime tart but now seeing the fresh gooseberries I find myself in a quandary; gooseberry crumble, or the lime tart? A quick rethink of the dinner plan for tonight, and tomorrow scrambles through my head; I will do both, the lime tart for today and the gooseberry crumble tomorrow. I pick up a nice country loaf of bread, organic cream, milk and eggs and head for home, my guests plod off to explore Cape Town. Considering the gale force winds blowing outside I think there could be better days for exploring than today. The wind almost rips the door from my grasp as I make my way into the kitchen from outside, while hugging my purchases tightly to prevent them from being blown in all directions, I’m pleased that I passed on the opportunity to buy fresh flowers as they would have come off second best in these conditions. The kitchen is lovely and toasty, a perfect day to be inside baking. After a quick warming cup of tea I check on my cannellini beans which have been soaking for a few hours, all is looking good and now it’s time to start preparing the lime tart. I enjoy making this particular pastry , each time adding as much butter as I dare, just to see how crisp and fragile I can get the crust. I have prepared all the ingredients for the filling; all that is needed is the final mixing of all the items together. The crust is pre-baked, looks great and is ready for the filling which I set about doing. All goes smoothly when suddenly the wind tears several branches from the palm trees, heaving them across the courtyard with a vengeance, and in my direction. Distracted at this point I put the tart and it’s filling into the oven, as I am about to close the door I realize I have forgotten one important ingredient, the lime juice. 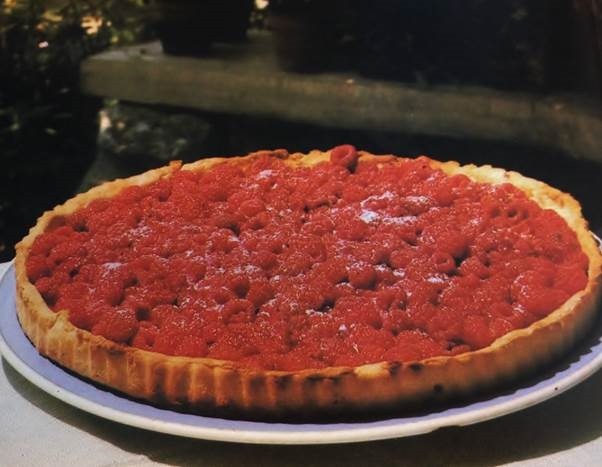 I quickly pour the juice gently into the liquid filling already in the tart, stir and distribute it as best I can while trying not to disturb the pastry base. Fingers crossed I close the oven door and hope for the best. A little flustered I think of plan B, not to mention thing about clearing the debris from the courtyard, it is going to be a long 45 minutes. It’s time to check the tart. I give it a little shake to test if it is sufficiently set, there should still be a slight wobble to the custard, it is set just the way I like it and it looks perfect. The quick thinking and unorthodox approach to the lime custard filling actually worked. The tart was saved. With the tart baked and the chicken slowly cooking and doing what it should, I have time to catch up on chores, get through a bit of my work backlog and I find time to relax before dinner is ready to serve. To make the pastry, put the flour and icing sugar into a food processor, add the butter and blitz for a few seconds until the mixture fine resembles breadcrumbs. Mix in the egg yolks and the water. Blitz for a few more seconds until the dough comes together. Gently shape into a log, wrap in greaseproof paper and pop into the fridge for half an hour. If you skip this bit the pastry will shrink. Next, cut thin rounds from the pastry and press into a loose-bottom 23-24cm tart tin, pressing the pastry gently up the sides and over the base. Make sure that there are no holes or cracks; otherwise you will lose your filling. Prick lightly with a fork and refrigerate for half an hour. Set oven to 200∘C. Place a sheet of greaseproof paper in the tart tin case, fill with baking beans and bake for ten minute. Remove the beans and bake for a further five, until the pastry is dry to the touch. Turn the oven down to 150∘C; finely grate the zest from two limes. Squeeze enough limes to give 180ml juice; this could be anything from 6 to 8 limes depending on the size and ripeness. Mix the eggs and sugar together, beating lightly for a few seconds, you don’t want it to be frothy, and then stir in the lime juice and cream. Pour the mixture through a sieve, stir in the lime zest and pour into the baked pastry case. Bake for about 45-50 minutes. 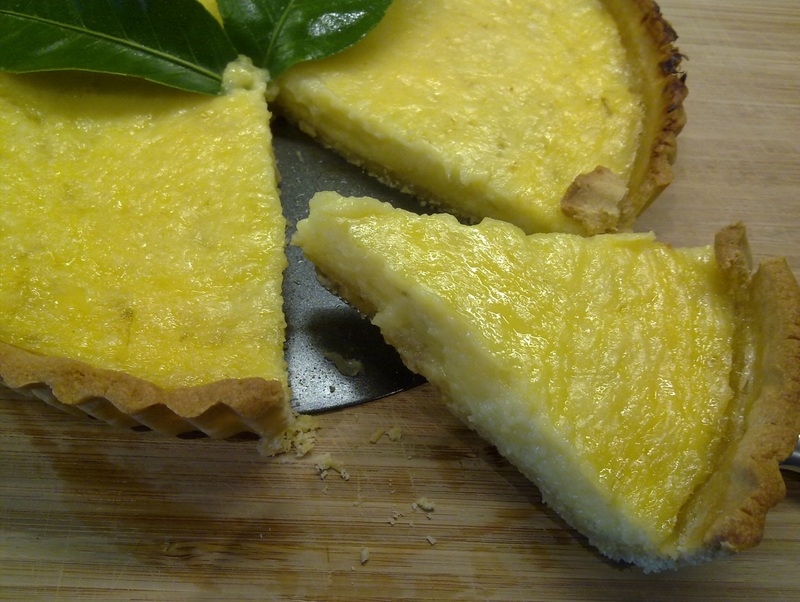 Remove the tart while the filling is still slightly wobbly and leave to cool.